Your meeting room with a panoramic view! Looking for a place for your events in a fantastic area?... searching the best accommodation and the perfect catering for your conference guests? - Then you are exactly right here. 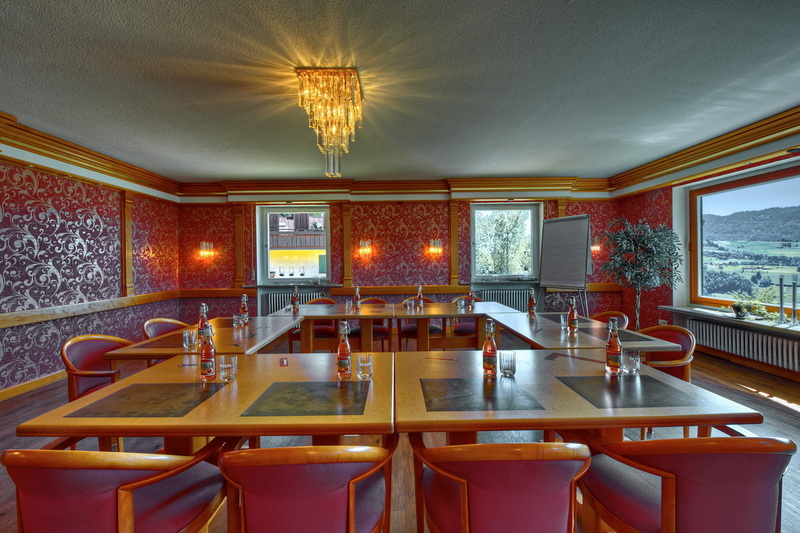 We offer you a small separate meeting room for 8 people and spacious facilities for your event with up to 28 seats. Get your business and a successful impression with the spectacular panoramic view and an inviting ambience. What more do you want? The prices depend on the group size and the amount of time booked.